The inaugural Titans Junior Club Challenge was held on Sunday, 18 November at the Toowoomba Touch Football grounds. Teams from Roma, Chinchilla, Dalby, Toowoomba, Springfield Lakes, Kingaroy and Arana attended, for many it was the first time they had been given the opportunity to participate in a tournament. 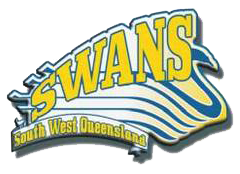 The Titans Junior Club Challenge is an event open to Junior Club teams (affiliates over 30 teams) and Affiliate Representative teams (affiliates under 30 teams) from across Queensland, providing opportunities for Coaches, players and referees to develop through participation in the sport under tournament conditions. The Junior Club Challenge is an opportunity for junior club players to experience a tournament style competition that they would not usually be part of unless they have played at affiliate or school based representative levels. This event will give participants and coaches the chance to pack in 4 to 5 weeks of competition Touch into a one day event and against a variety of oppositions. It also gives clubs the chance to come together and fly their colours and show support for each of their teams which may not be possible on weekly competition days/nights. Thank you to everyone who participated in the inaugural Titans Junior Club Challenge in Toowoomba on Sunday – we hope you had an awesome day! Thanks to players, team coaches and managers, parents and supporters for making the day such a success. A massive thank you to all of the Referees who gave of their time – we couldn’t have done it without you! We look forward to seeing you all next year!